while away the winter in a communal ball. the mud flats filled in with non-woody plants and the Butler’s moved in. is in charge of interpreting and enforcing rules to protect them. by WDNR and included in the complicated negotiations that resulted in the project going forward. Now. habitat. This is County land and the Milwaukee County Parks staff agreed to the choice. a variety of plant life which is the base of the food chain for all living things. day lillies. It will be different than what it was, but diversity may be our survival as well as the snakes. Enjoy the sun. 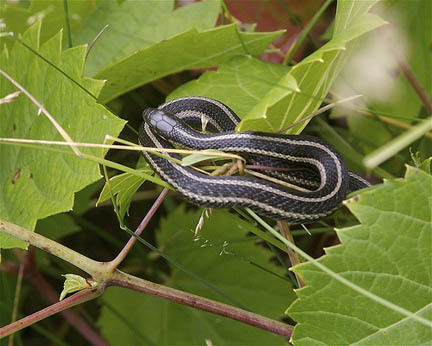 The Butler’s garter snakes will.